A unique wellies model from the BOOMBOOTS company – INSULATED WELLINGTON! As with all BOOMBOOTS wellies these feature a completely hermetic-molded design. Now your favorite wellingtons are more practical. You can even wear them in the rain and slush of spring and autumn weather. These wellies can be worn in temperatures down to -10 degrees. The molded soul decreases the chances of slipping and the artificial fur lining will keep your feet warm in cold weather. Hurry up and be the owner of these unique wellies – this is a limited offer! 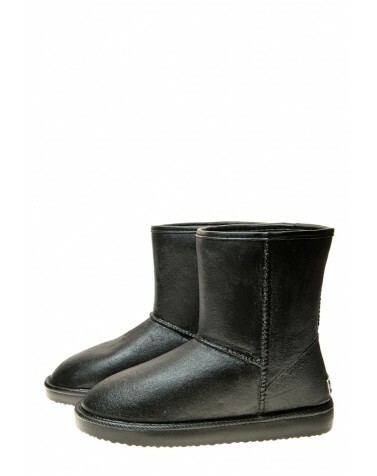 Height of boots 20-25 cm. A unique wellies model from the BOOMBOOTS company – INSULATED WELLINGTON! As with all BOOMBOOTS wellies these feature a completely hermetic-molded design. Now your favorite wellingtons are more practical. You can even wear them in the rain and slush of spring and autumn weather. These wellies can be worn in temperatures down to -10 degrees. The molded soul decreases the chances of slipping and the artificial fur lining will keep your feet warm in cold weather. Hurry up and be the owner of these unique wellies – this is a limited offer!